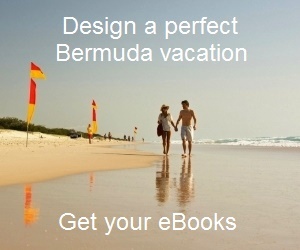 This page is all about the major news and updates about Bermuda. Here I don't intend to compete with Bermuda's dailies or other magazines. So this page is not about the daily traffic jams, road accidents, current theater shows, weather or the sentences given out to the petty criminals at the local court. But there are great many things and some serious stuff that keep happening in the island. For example new tourist places or attractions coming up, major festivals and events celebrated, great hotels or restaurants coming up or closing down, new measures by the tourism or other departments of the ministry, key political, social or economic changes, and lot more that may be of interest to you. The First Part below is about the interesting information and updates that I collect from Bermuda's local sources. In the Second Part you can access the archives of the top stories that I posted in the earlier months and years. And now the more interesting part where I pull together the meatiest updates about the island. If you go through the news and articles below, you will know about the big things happening in the island in recent times. Update: April 2, 2018: Willowbank Resort which once used to be patronized by those who wanted not only to stay in a serene beautiful place but a place that practiced Christian spiritual devotions and Bible study as a matter of daily routine, has re-opened. Having remained closed for seven years, it has re-opened as a modern b&b yet retaining the old charm and beauty. Other than two private beaches, there is also a nice pool. Check out Willowbank Renovated for full info. Update: March 11, 2017 - Fabled Marcus Restaurant in Hamilton Princess & Beach Club has gone through a facelift in both looks and offering. Why? Perhaps it had to. Find out the changes. Update: January 20, 2017 - Bermuda Historical Society Museum, Queen Street, Hamilton, is closed until further notice while repairs are made to the Library veranda. Update March 10, 2017: There are few changes incorporated in the museum. Please go through Historical Society Museum and check it out for yourself. Farmers' Market is scheduled to be held between November 19 - July 1, 2017 every Saturday between 8am to 12noon. It will be held at Jack King Building at the Botanical Gardens, Paget. Hurricane Nicole: Category-3 hurricane directly hit Bermuda on October 13, 2016. Roofs of several houses were damaged, many trees were uprooted and several boats were damaged in the storm. Many houses were flooded and were without power. Even after hours of hurricane pounding, Bermuda came back to its normal state soon enough, and that is mainly because of better preparations and awareness in the minds of the islanders. The foil fest takes place on June 25, 2016 at Royal Naval Dockyard. Public can witness the incredible speed of the hydrofoil catamarans similar to the ones that will participate in America's Cup final in 2017. The teams of Artemis Racing, ORACLE of USA and SoftBank of Japan will be present during the festival. A free event village is being setup jointly by Wedco and America's Cup... lots of other activities are also being arranged. Queen's Birthday Parade held on June 11, 2016 at Front Street, Hamilton. Bermuda Onion Day was celebrated on May 14, 2016. The historic onions which once was the main trade of the island and for which Bermuda came to be known as 'Onion Patch', are in display on this day in different forms. The annual exhibition (known as AG show) was held at the Botanical gardens among large gathering and lots of fun filled activities, live stocks and vegetable display. 35th America's Cup is hotting up ... this is the first stage of the full America's Cup international yachting event held in Bermuda where all the six international yachting teams of the competition are featuring. There will be a total of four races held over two days in Great Sound, while on Front Street (Hamilton) an event village and festival are set up with food vendors, exhibitions, live commentary, daylight screens showing the races, kids activities, a concert and lot more. After a 2-week long competition among 39 participating restaurants in Bermuda to bring out the best maker of fish sandwiches in the island, Rosa's located at Front Street, Hamilton emerged as the winner. Locals voted at the initial rounds to get to the top 5, and then judges chose the topper. The other four in the top 5 are Mama Angie's (St. George), Seaside Grill (North Shore Road, Devonshire), Tribe Road Kitchen (Hamilton) and Woody's (Somerset). However Art Mel's (in Pembroke & St. George) which has always been known as the best in the job, did not participate. More watersports in Bermuda! Soon hydro-bikes will be introduced by a new company Funworks Bermuda launched by two young Bermudians. Hydro-bikes are like pedal bikes with 10-foot catamaran floats attached on both sides. You can pedal and move on the water easily. There will be options to rent by the hour of take guided tours. Bermuda will be hosting the 35th America's cup (also known as the Auld Mug) in June 2017. This yachting race is the oldest international sport where a trophy is awarded. It started in 1851. It's a competition between a defender yacht and a challenger yacht. This is the first time the defending US team has agreed to defend their title outside USA. A purpose built event village will come up in Royal Naval Dockyard as lots of visitors are expected to pour in by cruise.